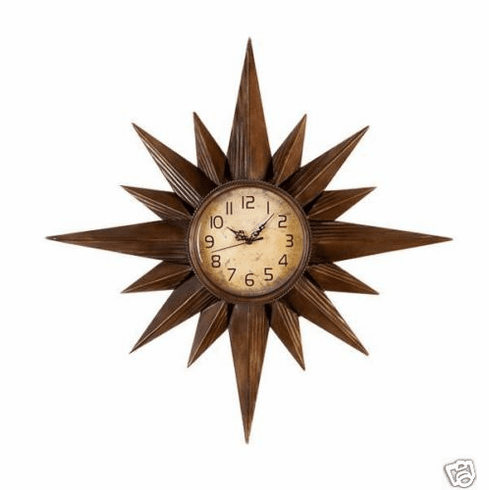 This amazing clock is bound to be the center of attraction in any room. The perfect symmetrical shape adds to the piece. The clock in the middle just tops it all off. Everyone will love this splendid piece!